Bone spurs in the shoulder joint is commonly caused by osteoarthritis. These spurs start to form as a response to the wear-and-tear breakdown of the cartilage in the shoulder joint due to the aging process, overuse or injury. It is important to note that bone spurs in the shoulder will not necessarily manifest any symptoms but some who have large bone spurs that pinches the nerves or take up space in the shoulder joint can suffer from intense symptoms. With this in mind, an individual experiencing significant shoulder pain must consult a doctor so that proper assessment can be carried out and the appropriate first aid care and treatment can be started to provide relief to the pain and limited mobility. A clear indication of bone spurs in the shoulder is pain. This can be alleviated by applying ice. A clear indication of bone spurs in the shoulder is pain. In case osteoarthritis is the cause for the formation of bone spurs, it will worsen when the individual engages in activities or during a period of inactivity. Take note that this can occur since the bone spurs in the shoulder joint can compress on the nearby nerves located in the surrounding bone, tissue and muscle. These nerves will transmit pain signals to the brain where the individual will experience pain in the shoulder joint. In most cases, conservative modes of treatment are preferred such as the application of ice, rest and over-the-counter medications. On the other hand, surgery is required for severe cases of bone spurs in the shoulders. The swelling is also a common symptom that indicates the formation of bone spurs in the shoulder. This can occur since the rubbing on the bone can cause the immune system to release certain chemicals that can result to swelling in the shoulder. The swelling can cause the shoulder to appear large than the other shoulder. The swelling in the shoulder can become red in color and warm to the touch. 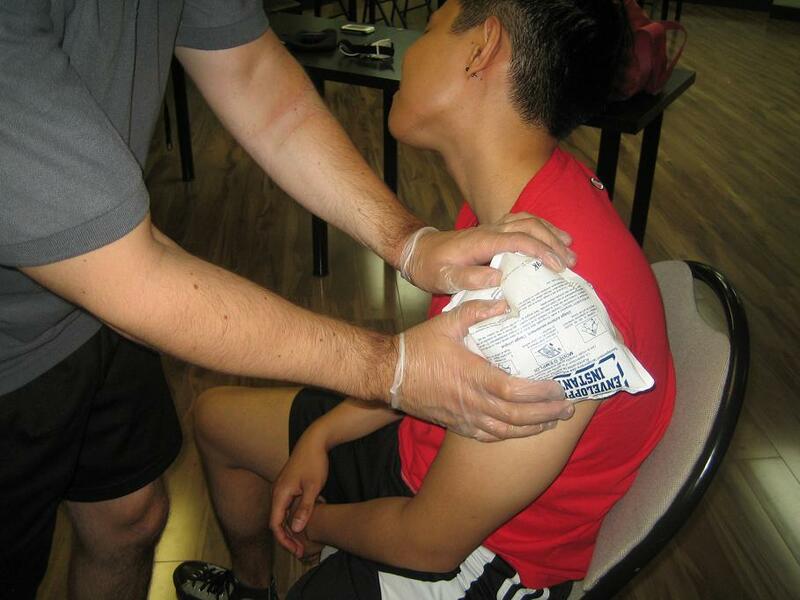 Additionally, the swelling can drastically diminish the mobility of the shoulder. If the swelling is an issue, the individual must keep the shoulder raised higher than the level of the heart so that gravity can reduce the amount of fluid present in the shoulder joint. The individual must consult a doctor for proper assessment and treatment of the swelling. An individual with bone spurs in the shoulder can experience diminished range of motion. This occurs since the bone spurs that formed in the shoulder joint can impinge on the rotator cuff, rub on other bones or limit the movement of the humeral head. Once this occurs, the limited motion could not be treated with conservative modes of treatment. In cases where mobility is severely limited as well as disrupting the ability of the individual to perform daily activities, surgery is required to remove the bone spurs. The risk of undergoing surgery includes infection, severe bleeding and even nerve damage.